He withdrew from his friends and neighbors. When he died in his Fairbanks house, no one noticed – for years. FAIRBANKS — Neighbors figured the house had been abandoned, though some had a creeping feeling that might not be the case. 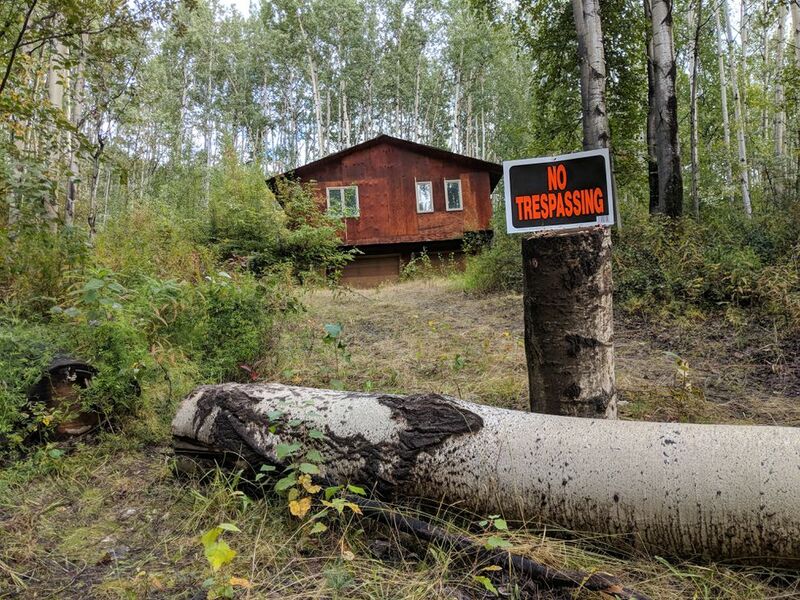 At the end of May, the Fairbanks North Star Borough had taken the deed of a dilapidated cabin on Red Fox Drive, a neighborhood of well-kept homes on big parcels of birch forest near the University of Alaska. The property taxes hadn't been paid for years. The property was owned by a man named Paul Pesika. Decades ago he had run a pioneering counseling nonprofit and worked for a powerful Fairbanks legislator in Juneau. Back then he was known as a charismatic outdoorsman with a wide circle of friends. They'd helped him build the cabin on his dream property on a hill above Fairbanks' ice fog. But 30 years ago he had become a hermit. The other residents of Red Fox Drive, mostly professors and other professionals who worked for the university, saw him only in glimpses. The silver-haired man stopped emerging from his house to shovel the snow. A birch tree fell, blocking his driveway. The ancient silver Subaru he sometimes used to make midnight trips to the grocery store sat undisturbed. People wondered, in passing, what had become of Paul Pesika. This month, the truth came out: He hadn't gone anywhere. Pesika had killed himself years ago in the little cabin, but no one had noticed. No one knows quite when Pesika died. Pesika stopped paying his property taxes in July 2014, according to the Fairbanks North Star Borough. The next month, he got his last delivery from the company that supplies water to homes without wells in the neighborhood. His vehicle registration expired around the same time. 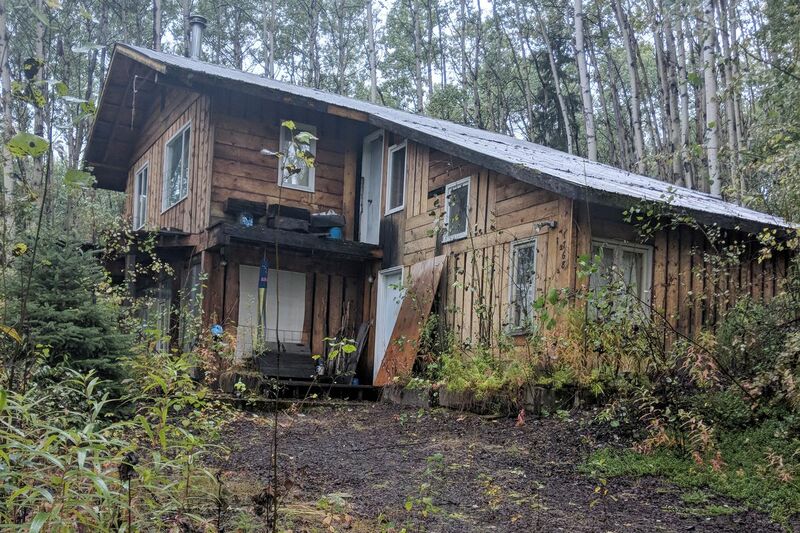 Roy Corral, an old friend and roommate who now lives in Eagle River, says he stopped by the property at least twice in the last four years while on trips to Fairbanks. The place looked abandoned. No one answered the door. In 2016, someone called the Alaska State Troopers to ask for a welfare check at the Red Fox Drive property. They hadn't seen their neighbor in a while, the agency said. A trooper went to the house. "It appeared abandoned and the driveway was unplowed," said troopers spokeswoman Megan Peters. The trooper didn't have enough information that something was wrong to go inside, she said. "We can't just make entry into a house because someone else is concerned," Peters said. Two other neighbors said they thought about calling for a welfare check but never did. Finally, at the end of May, 1768 Red Fox Drive appeared on a list of houses that the borough had taken over for nonpayment of taxes. The property was to be auctioned off and sold. On June 13, a borough official went out and posted a notice on the door — but didn't go inside. Potential bidders started showing up in the neighborhood, peeking at the house. 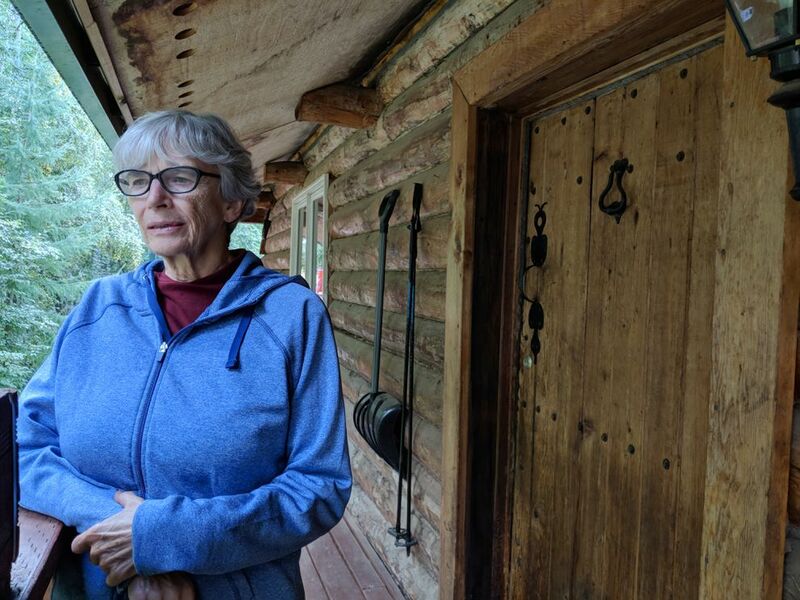 Finally, on Aug. 12, Pesika's next-door neighbor walked inside the cabin to check out the property and found him long dead, apparently of a self-inflicted gunshot wound. Paul Pesika's death unsettled both the people who were close to him long ago and the neighbors who lived in shouting distance but never knew him. It has brought up big questions about friendship, neighborliness, mental illness and a value Alaskans take seriously, privacy. To Pesika's old friend, Frank Gold, a retired University of Alaska psychology professor, all the questions boil down to one big one: How could this happen? Pesika was a young man when he arrived in Fairbanks sometime in the late 1960s or early 1970s, his old friends say. But nobody can quite recall his early history: Was he stationed at Fort Wainwright? They remember that he may have come from California. Like many others in town at the time, he'd come to reinvent himself. He was estranged from his family, said Gold. Pesika, about 6 feet tall with looks people compare to a young Sean Connery, quickly became involved in Fairbanks city life, running a pioneering youth drop-in center downtown and later a drug and alcohol counseling center with Gold. He fell in with an outdoorsy, young, adventurous circle of friends, said Corral, a photographer. People were drawn to him, said Sherry Faught, another member of the circle who now lives in Salcha. "He was handsome, he was pleasant, he was fun to be around," she said. In the early 1970s, Pesika bought the land on Red Fox Drive and began building a house with the help of his friends. "It was perfect, above the ice fog," Corral said. "He liked his privacy." Pesika shifted to work in politics, becoming a legislative aide for a powerful Fairbanks state senator, Don Bennett. 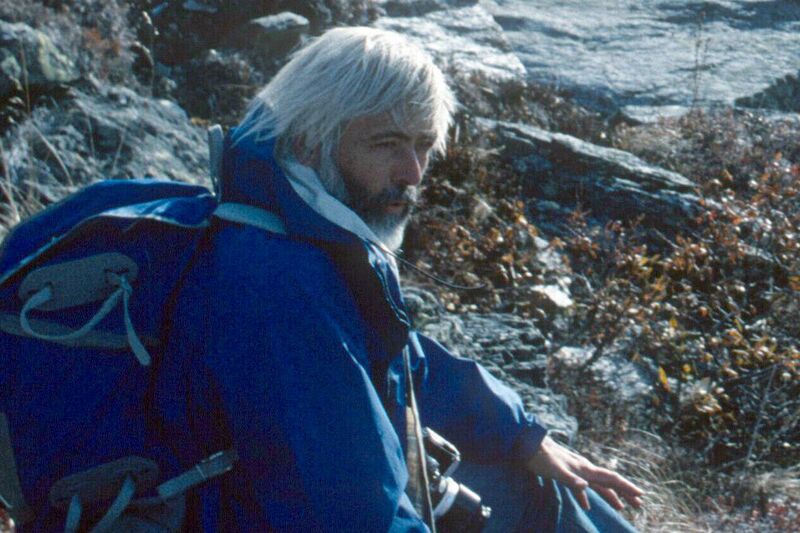 He was known as a dealmaker who could operate in Juneau during the session and then smoothly transition to the simple, spartan, outdoors lifestyle he aspired to on his land in Fairbanks, Corral said. But despite his success, there were signs that something was fraying in Pesika's mind. He and Corral were on a winter skiing trip in Denali National Park in the late 1970s when Pesika made a statement that startled his friend. "We were skiing toward the river and Paul all of a sudden stopped and said, 'Did you hear that?'" Corral said. "And I said, 'What?' And he said Jesus' voice talking to us.'" He began to tell friends about his fear that radio transmissions were infiltrating his mind, that he was being tracked by government agencies, that the CIA would take him in the night to Anchorage, where they would use his powers of detection to locate enemy submarines. It was obvious that Pesika was suffering from signs of mental illness, said Corral. But no one could convince him to seek professional help, Gold said. He worked for the borough in the 1980s, at one point as an aide to the mayor. By the late 1980s he began cutting himself off. His friends continued to drop by the house on Red Fox Drive, where Pesika now spent most of his time. But the handsome political operative and outdoorsman they knew had become deeply paranoid. He was fastidious about shoveling his driveway but would barely respond to a hello, said Carol Norton, a soft-spoken neighbor who lives in a log home across the road. Then even Pesika's smallest interactions with the wider world ceased. "I'd go by the door and yell his name. It was locked. No one would come to the window," Corral said. "He'd have a black flag hanging at his window and then I knew things were getting bad." Eventually it became unpleasant — even scary — to approach the house, said Faught. She remembers last seeing Pesika in the early 1990s. No one interviewed for this story remembers interacting with him after that era. It's a mystery to them how he continued to pay for expenses, even for his austere lifestyle: property taxes, the water he needed to have delivered to his house and the fuel to heat it through the long, frigid winters. Robert Prince, a professor of documentary filmmaking at the University of Alaska, moved in next door to Pesika eight years ago and never met him. On Aug. 12, Prince, his wife and his mother walked over to check out the neighbor's house beyond a thick stand of birch, cranberries and wild roses. The house was in a state of gentle decay. The driveway up from the road was being overtaken by saplings. Birds had nested in the eaves. Fireweed had crept into the planters. Mushrooms had sprouted on the back deck. A windsock that read "Alaska" twisted limply from the front porch. The door was unlocked, Prince said. It was dark as midnight inside. 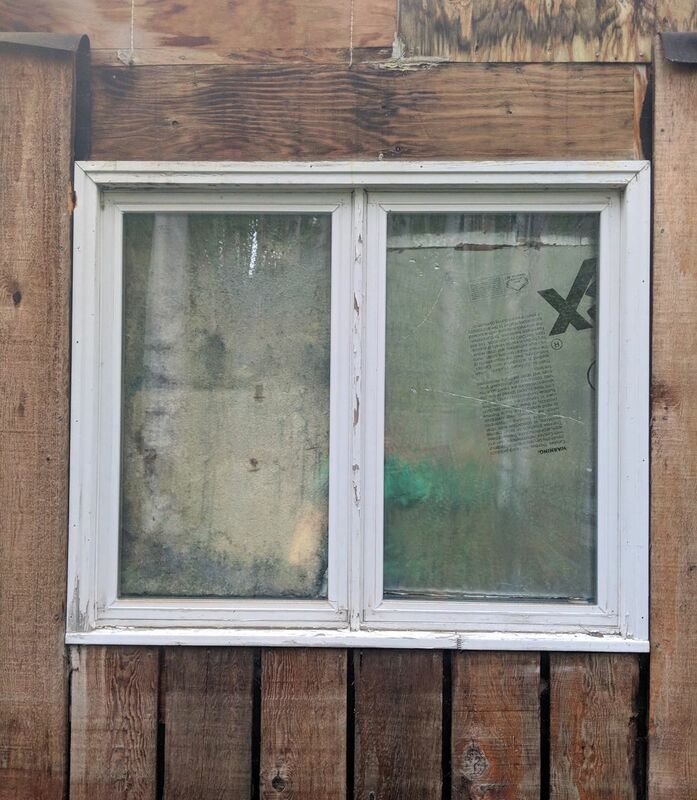 Almost every window had been covered with sheets of insulation. Prince used his phone as a flashlight. He made his way down a dark hallway and into a room that looked like a tidy bunker. Canned food was stacked on a desk. A bed was made. And in the corner, a wicker chair. In it, Pesika — dead of an apparent self-inflicted gunshot wound. The horror-movie details aren't necessary to share. But it was obvious that the body had been there for years, Prince said. He called police right away. Pesika's old friends have been calling each other. Some feel guilty. Living and letting live is an Alaskan value, they say, and maybe particularly a Fairbanks value. But at what cost? Corral thinks Pesika may have run out of money to pay for heat, water and taxes and given up. How long had he been there? Corral thinks four years — around the time he stopped getting water delivered and paying his taxes. He says the medical examiner told him they'd have to use dental records to positively identify the body. He's trying to locate any of Pesika's living relatives. No one from the circle of friends in the 1970s can remember if he had siblings, or where exactly he came from, Gold said. Part of what makes the story so unsettling is how close to society Pesika was living, by Alaska standards, Corral said. His house was nearly visible from the road. It was not even an area of Fairbanks where people moved to get away from it all, but was a neighborhood with good elementary schools and an easy commute to the university. "We all feel terrible about letting that happen to a neighbor," said Norton. "This is supposed to be a 'we know our neighbors' sort of place." Prince sees it as the culmination of a long and sustained effort to be forgotten by the world. "This is not something your average person could pull off. You have to be so cut off from so many people for that long," Prince said. "You have to never talk to anybody for years, and never bump into anybody." And it turns out people did stop by. Pesika had not been totally forgotten. But nobody took the next step, to force the way into the house. People worried he might have a gun. He'd made it so clear that he wanted to be left alone, people did. "What's the lesson behind this?" Corral said. "It's that we should take care of each other better." "I regret that I didn't break down that damn door."